Ever since Porter’s book Competitive Strategy (1980), developing a generic strategy and then executing this strategy well has been seen as the main source of competitive advantage for organizations. However, since the publication of Porter’s book the business environment has changed dramatically, giving rise to the questions: How important is strategy nowadays for an organization to become and stay successful? and Are the generic strategies of Porter still valid? To find answers on these questions, research into the characteristics of high performance organizations (or High Performance Business) was looked at. Based on the results of that research it was established that there was only one strategy characteristic of importance for establishing and maintaining an HPO. Strategy thus only matters a bit in the sense that just having a strategy is not enough to become a high performance organization. For this the strategy has to be unique, and this uniqueness cannot be achieved by choosing one of Porter’s generic strategies as having one such a generic strategy is no longer enough for the modern-day organization. Thus, the emphasis during the strategy development process should be on identifying the elements that make the organization stand-out from its competitors, and then on devising ways to exploit the unique traits of the organization in order to achieve sustainable competitive advantage. The article is organized as follows: In section II, the high performance research is described. 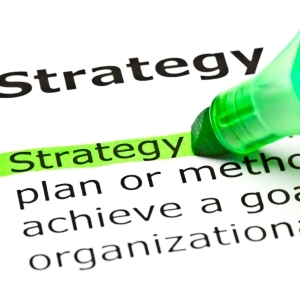 The results of the HPO research, specifically for the characteristics that have to do with strategy, are discussed in section III. The meaning and significance of these results are discussed in section IV. The article ends in section V with a conclusion and limitations of the research. Read the full paper, published in BizStrategy, in PDF!